For centuries there has been many sighting, or claims of sightings of, what is thought to be Mary (Miriam) the blessed mother of the Lord Jesus. Nearly all of us have heard about some of these. A prime example would be the happening near Lourdes, France, in 1858, when a young girl, named Bernadette evidently seen an apparition of Mary. The dominant churches of the region usually have a local bishop investigate and certain procedures are followed to ascertain the validity of a sighting. Both the Catholic church, in the west, and the Coptic church in Egypt, have declared some of these sightings to be valid. To my mind some of these seem to be genuine sightings of something. Are these genuine sightings of Mary or could some of them be of a demonic nature instead? Satan can disguise himself as an angel of light. What do you think? Sometimes the apparition leaves a message to the witnesses or even something of a physical nature. 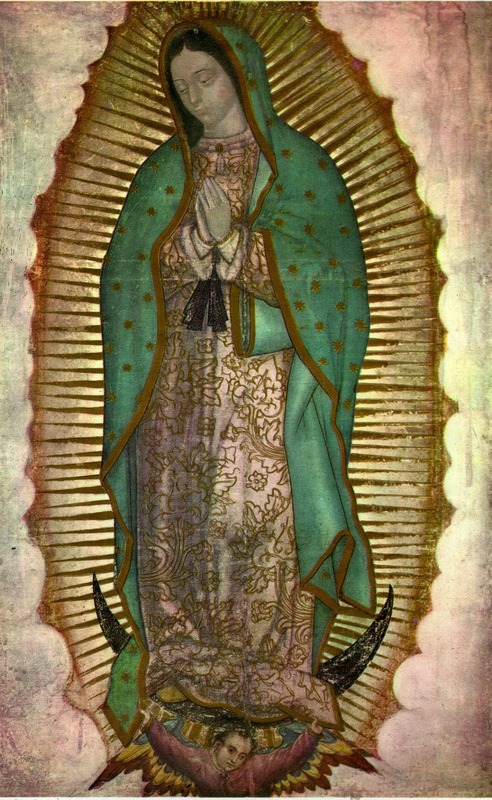 We see this with the “Lady of Guadalupe”story. This was a Marian apparition/sighting in Mexico of 1531, by an indian named Juan. The apparition told him to collect some roses, which he wrapped up in his cloth “tilma”, which afterwards had an image of Mary on it. This image is still being studied. It seems to be miraculous. Obviously there is something special in many of these sightings. One of the most perverted verses in the bible Matthew 16: 18 Unbiblical: On peter I will build my church…. Images and pictures of Jesus? Good or Bad?